In late January, the tutors who serve as residential advisers in Harvard’s upperclassman Houses filed into a lecture hall on the first floor of Sever Hall for a regularly scheduled meeting. Among other agenda items, representatives from the College’s working group on diversity and inclusion solicited advice from the tutors, asking them to talk about their experiences in the Houses and identify potential areas for improvement. When one tutor spoke up to raise concerns about the environment in one of Harvard’s Houses and its lack of tutors who identify as BGLTQ, the tone in the room quickly shifted. The tutor did not refer to the House by name, according to seven people who attended the meeting and independently corroborated the account, but he described concerns he had heard from students who said this House was perceived to be less welcoming to BGLTQ students than other Houses. According to Jim Pautz ’06, the resident tutor in Currier House who raised the concerns, he was referring to Dunster House. Several tutors applauded, and administrators seemed shocked. According to five people present, Dean of the College Rakesh Khurana was visibly taken aback and turned to Dean of Student Life Stephen Lassonde in response. Khurana approached Pautz and asked him to detail his concerns in an email, according to Pautz, who then followed up. The meeting drew administrators’ attention to concerns about BGLTQ life in Dunster that are not new. Current students in the House say that it lacks the resources needed to adequately support BGLTQ-identified students. Specifically, there are no resident tutors in Dunster this year whom students can identify as BGLTQ, further fueling a widespread perception that the House is generally less welcoming to BGLTQ students than other Houses. Cooper declined to comment on the status of the inquiry and on specifics about Dunster for this story; Khurana and Lassonde declined as well, citing College policy against commenting on personnel matters. Amid these conversations, administrators in the House are responding. Several changes will come to Dunster next fall, indicating attempts to address student concerns. After at least two years without them, the House will welcome two resident tutors who identify as BGLTQ next year, according to an emailed statement from Dunster House Master Roger B. Porter, who along with Co-Master Ann Porter declined requests to speak about the issue on the record in person. And although for the past two years the House has lacked a formalized budget specifically for BGLTQ programming, Dunster going forward will allocate a “generous budget” for each of the House’s “specialty tutor activities,” according to Roger Porter. Students say they welcome the new tutors, but some worry that it will take more than these changes to fully address negative perceptions about the environment in Dunster. One of the House’s almost universally lauded designated BGLTS tutors, Avik Chatterjee ’02, is completing his program at the School of Public Health and has not been asked to return to Dunster next year, only intensifying some student concerns. In the spring of their freshman year, undergraduates at Harvard are randomly assigned to one of the College’s 12 residential upperclassman Houses. Their sizes and infrastructural make ups vary, but administrators herald them all as the cornerstone of the undergraduate experience and as a source of student advising and support, both academic and personal. But for years, students have questioned whether Dunster adequately supports its residents who identify as BGLTQ. One prominent incident in 2004 made these concerns public: Emails over the Dunster open list charged that the House was “exceptionally homophobic” and that students were afraid to be openly gay there, with Joseph R. Geschlecht ’06 alleging that he had experienced harassment in the House. In response to the 2004 incident, the Porters—who were appointed Dunster’s House masters in 2001—designated two resident BGLTS tutors, which the House had not had since 2002. But according to Geschlecht, the tutors, despite their best intentions, did little to assuage what he described as an unwelcoming environment that was exacerbated by the fact that he could not identify a resident tutor who identified as BGLTQ living in Dunster at the time. Reflecting in February on his time in Dunster, Geschlecht, who is gay, said “there was a sense that you were closeted, but only in the House, which was a weird thing.” He later clarified in an email that he was referring to a general feeling and that he himself was not closeted in Dunster. He eventually moved off campus. “It’s hard to be concrete about being made to feel unwelcome,” he said. Years later, similar concerns remain. When Carl E. Rogers ’16 came to Harvard in 2012, he was pleasantly surprised to meet visible BGLTQ-identified freshman proctors—the first openly gay adults he said he had ever met. Rogers, who is gay, said he felt uncomfortable at his Texas high school where few people were openly gay. Harvard was a different environment. When he moved into Dunster House just one year later, however, he said the atmosphere changed. For the time he has lived in Dunster, Rogers said, he has been unable to identify any BGLTQ-identified resident tutors. Dunster has two designated BGLTS tutors, but neither identifies as BGLTQ. Although at least one non-resident tutor, a pre-med adviser, identifies as BGLTQ, Ann and Roger Porter, Chatterjee, and several other undergraduate residents confirmed that no tutors they can identify as BGLTQ currently live in the House. Tutors who identify as BGLTQ have served in Dunster in the past, according to the Porters, who wrote in their statement that it was an “anomaly” that there are not tutors who identify as BGLTQ this year in the House. Several undergraduates in Dunster, while praising the work of the House’s designated BGLTS tutors, Chatterjee and Patricia S. “Patty” Smith ’11, said tutors who identify as BGLTQ can offer advice for students struggling with coming out or navigating the job market as an openly BGLTQ applicant that straight allies cannot. Several undergraduates interviewed said they feel that they must go outside Dunster for certain advising resources. “If I had some sort of issue related to BGLTQ identity, it just doesn't make sense for me to come to them about it,” said Curtis L. Lahaie ’15, a Dunster resident, referring to the House’s current designated BGLTS tutors. Dunster resident Ahmed Zaeem ’16, similarly, said he would have to look elsewhere to seek out advice. “If there were to be a concern about sexual health or a relationship with someone or something very complicated and specific to LGBT life, I don't feel like I have [an] adult tutor who’s there to offer me that guidance,” Zaeem said. Concerns over the last few years about BGLTQ advising in Dunster have gone beyond questions about the diversity of the tutor corps—the House, unlike at least some of its peers, has for at least the last two years lacked a formalized budget specific to BGLTQ programming. When Avik Chatterjee applied for a tutor position at the College two years ago, he did not indicate that he had experience in BGLTQ advising. But when he was offered a position in Dunster House, he said, the Porters suggested that he serve as a designated BGLTS tutor. It sounded like they needed someone to fill the role, he said, and he accepted. Two years later, students in Dunster praise Chatterjee for his role as an advocate and ally for BGLTQ students in the House, and the College’s Office of BGLTQ Student Life recently recognized him with an award for advocacy. But Chatterjee has concerns about the resources that have been devoted to BGLTQ advising in Dunster and the institutional support behind it. During his first semester as a BGLTS tutor, in 2013, Chatterjee organized a smoothie study break for students in the House. After planning a budget, reserving a room, and writing emails to advertise the event, he said, he wanted to meet with the Porters to make sure they approved of the plans. When he met with them, he said, he got the impression that there was not a formalized budget for BGLTQ events in the House. He looked to find funding elsewhere through the Office of BGLTQ Student Life. “I want to begin making a case to increase office funding for budgetary needs in the Houses,” Bailey wrote. In an email to The Crimson this week, Bailey clarified that, since 2013, his office has moved from an allocation per House system to an “as needed” funding request process so tutors do not feel restricted by the $100 allotment. Also since then, Chatterjee has hosted some free BGLTQ events, such as movie screenings, and minimized costs by co-hosting some events with Mather. He has paid for events that cost money mostly through funding from Bailey’s office; he and his co-BGLTS tutor received $10 this spring from Dunster for a movie study break, he said. At least some other Houses have budgets specifically reserved for BGLTQ programming. According to Kip C. Richardson, who has served for the past two years as a BGLTQ designated tutor in Winthrop House, Winthrop provides a budget for BGLTQ programming that ranges from $300 to $400 per year. Ayan Chatterjee, a BGLTQ designated tutor in Currier House and Avik’s brother, said Currier allots him about $250 per semester for BGLTQ programming, but that he has never hit a strict cap. Avik Chatterjee said this discrepancy is concerning. “Money is important, and if other Houses are getting four times as much as me, then there's inequity across Houses, which shouldn't be [the case] when you're talking about issues of diversity and inclusion,” he said. Questions about the resources devoted to BGLTQ advising in Dunster have contributed to a general, and widespread, perception that the House is not adequately welcoming to BGLTQ students on campus. Student leaders in the undergraduate queer community say that Dunster has a reputation for not being actively welcoming to BGLTQ students, and that no matter that reputation’s validity, it has a negative impact on students and necessitates a response. "If there were an award for the most LGBTQ-friendly House at Harvard, Dunster House would not be in the running,” said Timothy P. McCarthy ’93, a lecturer at the Kennedy School of Government and a member of Harvard’s Gender and Sexuality Caucus who has advised undergraduates for more than a decade. But for some students, negative perceptions about Dunster surface early in their time at Harvard. Julia R. Geiger ’16, a junior in Eliot House and co-chair of Queer Students and Allies, said she heard Dunster was not as welcoming to BGLTQ students when she was a freshman. “It definitely made me nervous about getting put into Dunster,” Geiger said. Last fall, tutors in Dunster distributed a survey to solicit feedback on the BGLTQ environment in the House. Although the survey garnered only 12 responses and many indicated positive attitudes toward the House, the survey results, which were obtained by The Crimson, also reveal that some students have concerns. One respondent wrote that the tutors should work to encourage the Porters to be more visible supporters of the BGLTQ community. Another respondent wrote that the tutors should work with the House masters to make the House more publicly BGLTQ friendly, suggesting that the House had a reputation for not being so. Several undergraduates interviewed said that the Porters’ involvement in the Church of Jesus Christ of Latter-day Saints and Roger Porter’s experience advising Republican presidents contribute to the perception of the House as conservative. Rogers characterized the environment in Dunster as one marked by conservatism, similar to his upbringing in Texas, with less perceived visibility or outspokenness around BGLTQ issues than other Houses, such as Adams or Lowell. To Joshua D. Blecher-Cohen ’16, an intern at the Office of BGLTQ Student Life who lives in Adams House, how a House is perceived matters. "Perception directly informs your individual sense of belonging within a House community," Blecher-Cohen said. “The burden has to be on Houses in proactively welcoming queer students." Concerns about BGLTQ advising in Dunster have lingered for several years now, and conversations among students and tutors this year have brought them to administrators’ attention, both in and outside Dunster. The January tutor meeting shed light on the issue to the College’s top administrators, and students within the House also raised their own concerns. 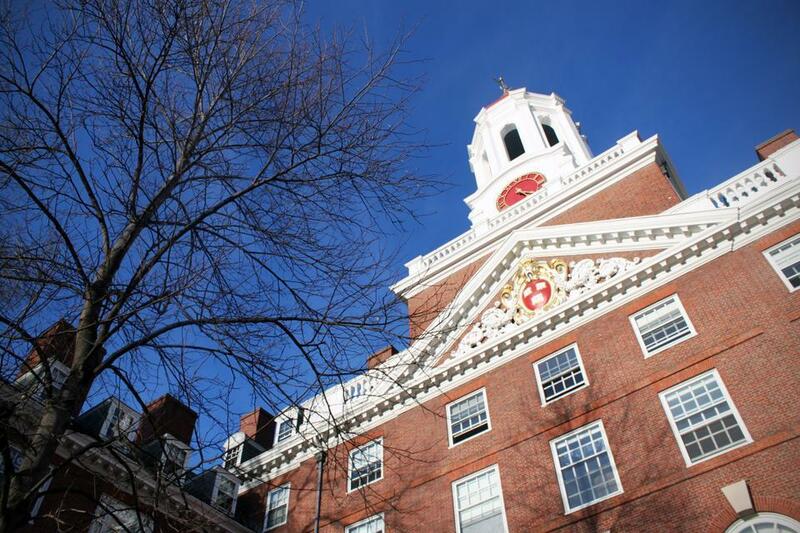 When he returned to Harvard this semester after studying abroad in China, Rogers said his concerns hit a boiling point. While he had discussed issues surrounding Dunster’s BGLTQ environment with Chatterjee before, he took the step to meet with Carlos E. Diaz Rosillo, Dunster’s dean. Diaz did not respond to repeated requests for comment for this story, but Rogers said that Diaz encouraged him to schedule a meeting directly with the Porters to voice concerns. Rogers ultimately spoke with the House masters in what he characterized as a friendly meeting. According to Rogers, the Porters suggested to him that they had expected a BGLTQ-identified tutor to come to Dunster and that it was out of their hands when the person did not. The Porters would not provide any additional on the record details, beyond the statement that the current lack of BGLTQ-identified tutors in Dunster is an “anomaly,” when questioned in a follow-up email. Rogers said his meeting with the Porters was constructive and that they acknowledged his concerns, indicating that they were actively working to hire a BGLTQ-identified tutor for the following year. They asked him to help interview applicants, Rogers said, and he accepted. These concerns, it seems, have spurred action. Next year, two resident tutors will join Dunter who also identify as BGLTQ, according to the Porters. “We recognize that perceptions are important and having self-identified BGLTQ tutors in the House sends a powerful signal consistent with the culture of inclusion we seek to foster in Dunster,” they wrote in their statement. Gregory Davis, an incoming resident tutor in Dunster House who is bisexual, said concerns over resources for BGLTQ students influenced his decision to come to Dunster, rather than another of the Houses from which he received an offer. “It was more so the need for...someone who was invested in LGBT students who was also an LGBT member,” Davis said. “I talked to a lot of students about this, and overwhelmingly the response was that I was needed at the House,” both as a BGLTQ-identified and an African-American tutor, he said. Rogers said he interviewed Davis for the position, asking him about his experience with BGLTQ advising, and was pleased with his responses and immediately hoped he would be hired to join Dunster. “The overall impression I got from the other tutors who were abreast of the reputation was that Dunster would be a difficult place to be an LGBT adviser but also that it was necessary that someone did it,” Davis said. Along with hiring two residents tutors who identify as BGLTQ, the Porters have also responded in other ways. According to Roger Porter, Dunster going forward will allocate a “generous budget” for each of the House’s “specialty tutor activities,” suggesting that BGLTQ programming will receive funding from the House. After they responded to The Crimson’s inquiries about BGLTQ advising in Dunster, the Porters also invited Dunster students to a confidential meeting about BGLTQ life in the House this past Tuesday, which they called “A Conversation about BGLTQ at Dunster with Roger and Ann” in an email. The first two paragraphs of the email inviting House affiliates to the event closely resembled the emailed statement the Porters sent to The Crimson three days earlier, with several sentences taken almost verbatim. The Porters wrote that they wanted to “work together to address concerns and share ideas,” inviting Dunster affiliates to the conversation and allotting other time for students to speak with them individually. Rogers said the Porters also sent him a personal email before the event to thank him for raising concerns and helping interview tutor applicants. According to Davis, one of the incoming tutors in Dunster who identifies as BGLTQ, he told students at Tuesday’s meeting that his main goals for next year include ally training and creating safe spaces in Dunster. In particular, students in the House are unhappy that Chatterjee, one of Dunster’s current designated BGLTS and race relations tutors, will not serve as a resident tutor in the House next year. Although he applied to stay on as a tutor next year after he completes his program at the School of Public Health this spring, he was not asked back by House administrators. Chatterjee wrote to the Porters in January indicating that he had received an offer at the Boston Health Care for the Homeless Program and an “instructor position” at Harvard Medical School. Still, this decision has prompted pushback from students, who worry they are losing an ally in the House. According to Rogers, who went to Tuesday’s meeting, roughly 20 or 30 people attended, and they spent the majority of the time discussing Chatterjee’s departure. A student presented a petition calling for Chatterjee to remain as a resident tutor, which Rogers and Laura K. Brennan ’16, who also attended the meeting, said had garnered more than 100 signatures. The Porters explained specific details of the tutor hiring process to students, according to Rogers, but some still seemed concerned about Chatterjee’s departure. “People went in very frustrated, and they left very frustrated. Nothing was really accomplished,” Rogers said. Davis, for his part, said he wants to make resources available to students in the next year to contribute to improving the environment. —Staff writer Ivan B. K. Levingston can be reached at Ivan.Levingston@thecrimson.com. Follow him on Twitter @IvanLevingston.